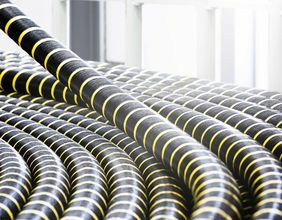 NKT has signed a preferred bidder agreement (PBA) to deliver and install export cable systems for the 950MW Moray East offshore wind farm off the north-east coast of Scotland. The wind project is being developed by Moray East Offshore Windfarm (MOWEL), which is owned by EDP Renováveis with 77% stake and Engie 23% interest. It will be equipped to provide electricity for more than 950,000 UK households. The deal will involve the manufacture of approximately 185km of 220kV AC cable, as well as installation and burial by the NKT Victoria vessel. The agreement is also subject to the project owner making a final investment decision (FID) scheduled during autumn 2018. NKT plans to use its Victoria cable-laying vessel for installation and burial of the cables, with work scheduled to commence in 2020. NKT president and CEO Michael Hedegaard Lyng said: “With the selection of NKT for the Moray East wind farm, our leading position in the offshore wind segment is confirmed. In September 2017, Mowel had secured 15-year Contract for Difference (CfD) by the UK’s Department for Business, Energy & Industrial Strategy (BEIS) for offshore wind generation at £57.50/MWh. Image: NKT will be responsible for cables installation work for the 950MW Moray East offshore wind farm in the UK. Photo: courtesy of NKT Group GmbH.